“There’s nothing glorious about war, Mom.” With eyes focused straight ahead on the road, Josh spoke with all the conviction that comes from a newfound revelation. I listened as I drove him home for spring break from the Naval Academy. A history major at a military academy, Josh was getting an in-depth education on the history of war and all its atrocities. He continued to tell me how the evils of war are unimaginable. Hellish even. “I can’t even tell you about most of them,” he said protectively. And I saw the dream dim. Josh was eleven years old when he started talking about being a soldier. He grew into a young patriot with a keen focus on attending a military academy and serving his country. Now he was living his dream, but it wasn’t all that he’d imagined. War had lost its glory before he’d ever even stepped foot on a battlefield. As a mom, I thank God my son hasn’t seen the horrors of war first hand, and I pray he never will. But today, in the middle of all our flags, parades, barbecues, and heartfelt honoring of soldiers who have paid tremendous prices for our freedom, I’m thinking about dreams that have dimmed. Even if a soldier has made it back to the safety of home, I’ve no doubt every sacrifice, every deployment, and every battlefield are littered with dreams that have died. 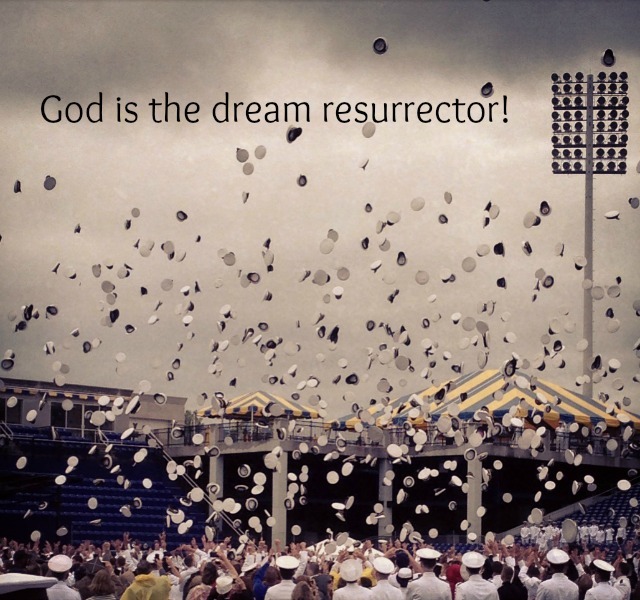 As we honor our soldiers today, would you join me in a prayer for resurrected dreams? Thank you for the brave men and women who have sacrificed so much to preserve our freedom. Give them the courage to believe again and to walk freely in their God-sized dreams. With grateful hearts and in Jesus’ name we pray, amen.